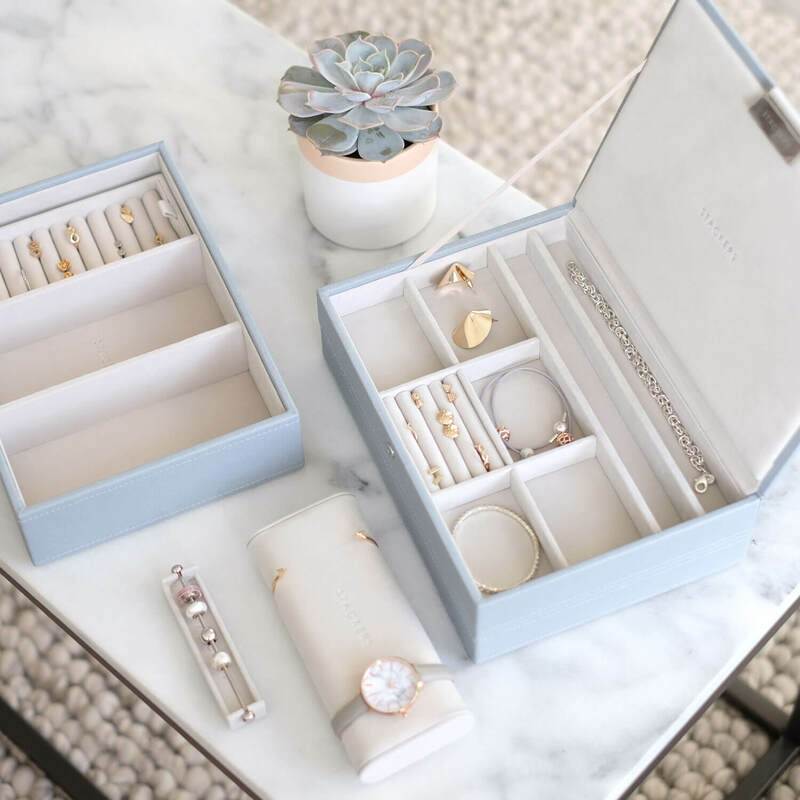 If you need catching up, #StackedWith is a collaboration that is happening RIGHT NOW between Stackers and several independent jewellery designers. Over the next few weeks, we are pairing with a different independent jewellery creator, and giving our lovely Stackers customers the chance to win one of their pieces! Every day one piece of jewellery will be added into a Stackers.com order at random, giving one of our lucky customers a very nice surprise. For the next 7 days we are teaming up with Claudia Made This giving away some of her statement colourful pieces! 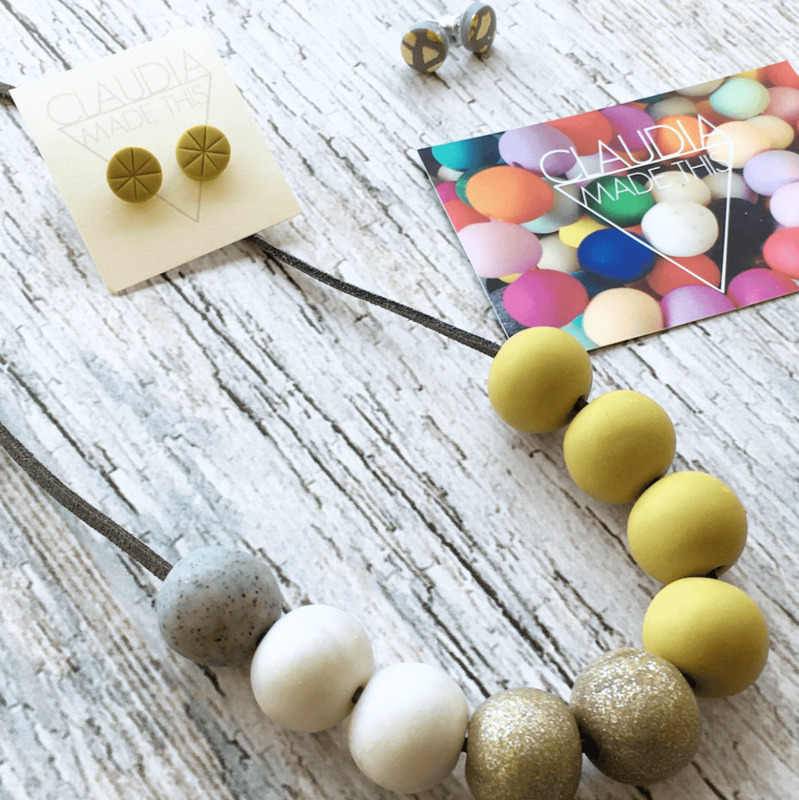 Claudia Weatherley designs and makes her jewellery from her home studio in Saltdean, Brighton. 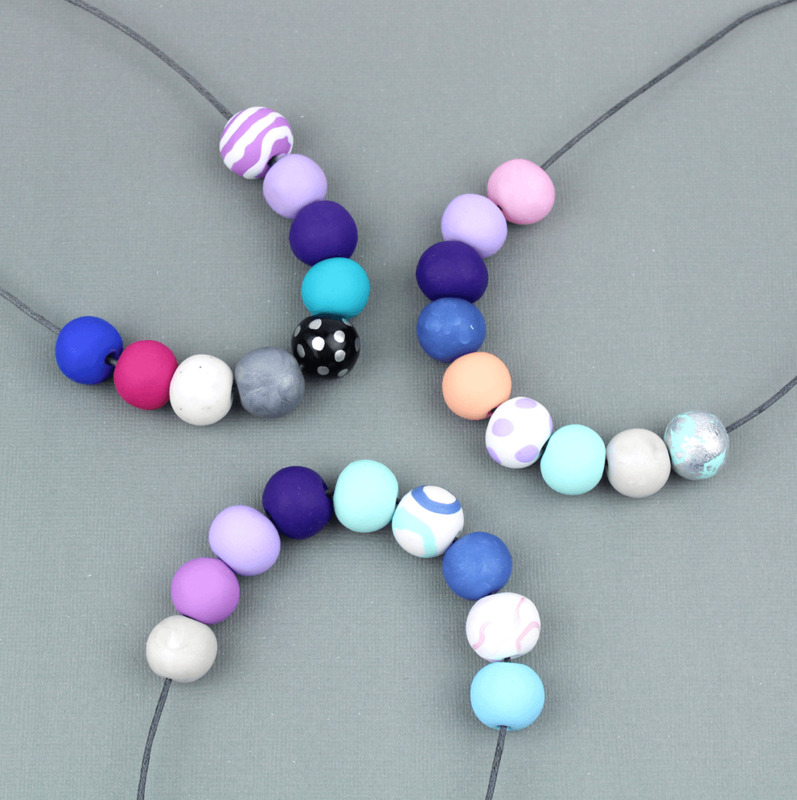 Claudia’s jewellery is hand shaped from polymer clay, an unassuming material with infinite possibilities. Claudia founded her business after graduating from Kingston University in 2013, where she studied Graphic Design. She also works as a freelance Visual Merchandiser. 1. Starting at the beginning; when did you first become interested in jewellery? And why did you start Claudia Made this? I’ve always been interesting in Jewellery, my mum used to call me a magpie, as I was attracted to anything shiny! My family have put up with homemade gifts for years; I’ve been making some form of jewellery since I was about 8 years old. I started Claudia Made This after I graduated from University in 2013. I studied Graphic Design at Kingston, which I loved, but have always enjoyed the process of physically making things by hand too. I never would have imagined jewellery design would end up being my full-time job. 2. Taking the leap and starting your own business can be a daunting yet rewarding risk; what have you found is the best and worse bits about being your own boss? I was and am still incredibly lucky to have a very supportive family. Starting your own business from scratch really has it’s ups and down. Working from home does mean you have to learn to be strict with yourself – no one is going to push you. I love the freedom and flexibility of working for myself though - I never was very good at being told what to do! There are lots of little things I don’t like though, mostly that I have become a bit of a workaholic, oh and no holiday pay! 3. 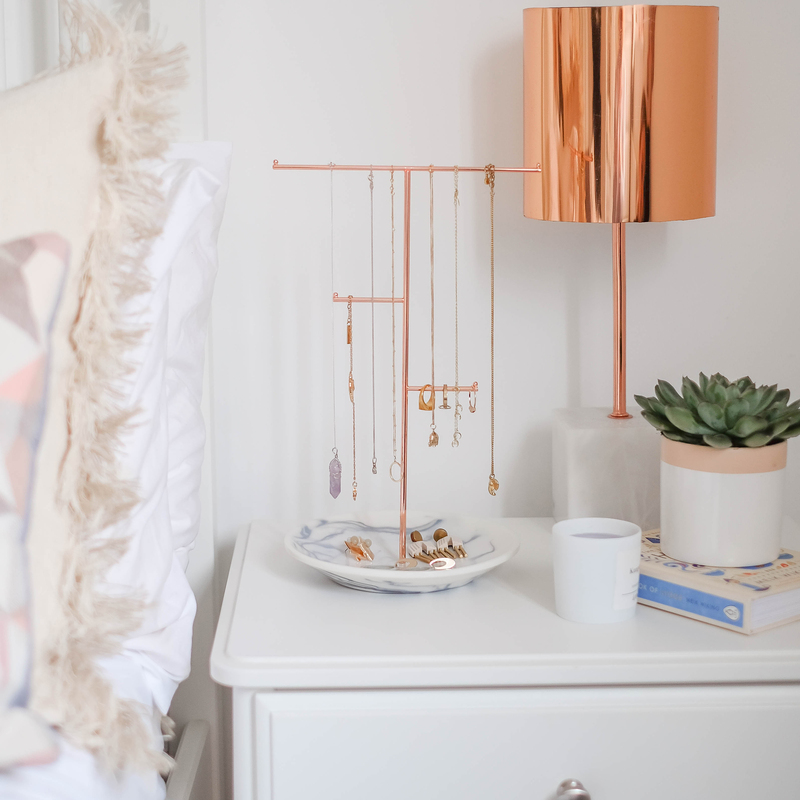 Your pieces are so beautiful; especially the colour combinations; where do you take inspiration from? And how do you keep coming up with new ideas? Thank you. I take inspiration from all over. My recent collection for The Royal Academy of Arts was inspired by Abstract Impressionism. I like the idea of creating small pieces of wearable art. Another big inspiration of mine is the 1980s Memphis movement. I love the bold colours and geometric shapes and print. I also take inspiration from my home town, I love living by the sea, and often customers say my work feels very coastal. 4. If you were given a huge cash injection what would be the first thing you would do with Claudia made this? An injection of cash would mean I could get some help! I currently run every aspect of my business; from designing and making the jewellery, photography, updating my website and catalogue and packaging orders etc. Having some help would mean I could focus more on developing new designs. 5. What are your future ambitions and goals with Claudia made this, would you like to have a permanent shop etc? I did my first trade show this year in April in Harrogate. It was an amazing experience, which I would love to do again. I also started stocking my first International shop this year in Chicago. It would be great to exhibit a retail or trade event abroad and take Claudia Made This worldwide!